Drivercleaner will work for you to ensure that your system is clean and running at full speed. A bad driver installation can not only make your games run poorly it can also cause start up, stability and performance issues. Driver Cleaner will help stop this from ever happening by Removing all traces of a devices previously installed drivers. Use Driver Cleaner every time you upgrade/change hardware or simply wish to install the latest or different that no conflicts or driver issues will occur keeping the system clean.Your hardware runs at it's optimal performance. Drivercleaner helps by removing all traces of previous drivers and ensures optimal system performance whilst reducing system crashes and errors. Avoids driver conflicts keeping the system safe and stable. 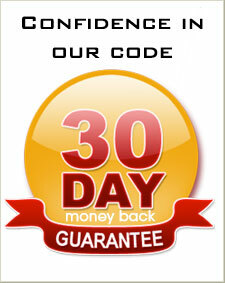 Free online support Money back guarantee. Windows 2000 to Windows 10 compatible. Top job on the new version, because I change my card every couple of months, Driver Cleaner is a life saver. Awesome app guys, you have no idea how much time it saves me. I had so many problems with drivers over the years, everything is sorted and working great now, even if I wanna upgrade.